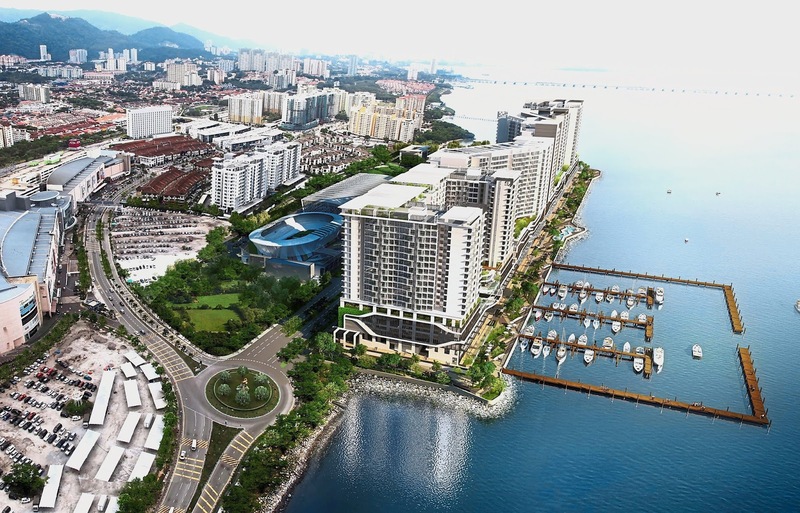 Penang: Ideal Property Group joins in the transformation of Jewel of the Straits. With a vibrant culture and rich history, the small island of Penang continues to evolve. Impressive contemporary buildings around the island complemented heritage landmarks, presenting an interesting combination of classic elegance and modern chic. Ideal Property Group, based in the exquisite Jewel of the Straits, have brought vigorous changes to Penang’s south western district over the years. Starting with I-Suria, One World, One Sky, The One commercial hub, One Residence, Imperial Park and Ideal Vision Park, the developer has changed the skyline of the area. The ambitious and carefully designed buildings have all come together to make a significant and vibrant transformation of Penang, including beautifying the landscape on the island’s biggest roundabout. The developer prides itself in its commitment to deliver condos with good planning, ensuring all development is complemented with upgraded facilities, infrastructures and daily conveniences. These were exemplified by projects such as One Imperial and Imperial Residences. Both projects provide green area and recreation facilities that enhance the healthy lifestyle of their residents, while most major amenities, including schools, hospitals, financial institution and Penang International Airport are within easy reach. Residents need only to walk for a short distance to eateries and market, while road users are given convenient access to roads upgraded from four lanes to six and more access roads are being built. One Imperial has been recognised as Malaysia’s most Highly Recommended Development in the Asia Pacific Property Awards. I-Santorini, no doubt inspired by the beautiful Greek Island of Santorini, was also crowned as Malaysia’s Best Five Star Development. The group is currently working on Queens Waterfront, a nautical-inspired seafront masterpiece near Queensbay, spanning across 36.53 acres of prime real estate. The master plan consists of four phases of resort-inspired condominiums named Queens Residences, signature commercial area, a marina bay, Queens Sports Center and an international school. There is also Queens Waterfront promenade, which will feature three themed areas which are marine life, sculpture park and beach habitat along the waterfront. 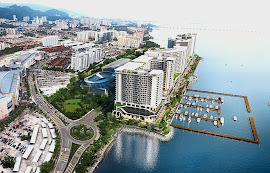 Queens Waterfront is poised to become a new landmark and place of interest in Penang. The combination of dynamic economic activities, friendly people, good infrastructure, delicious food, impressive seafront landscape offers residents quality living. The development will serve as a magnet for locals, foreigners, investors, skilled workers and tourists, while promoting the city and boosting its economic competitiveness. Imperial Grande@Sungai Ara, another upcoming project featuring freehold theme park-resort homes, located between the Penang and second Penang bridges. It is near schools, Pantai Hospital Penang, Queensbay Mall, factory zones, wet markets and restaurants. The development offers units of 1,000 sq ft with three bedrooms and two bathrooms. There will be six unique houses at the podium facility floor between the two residential towers. Each house will have a different recreation facility and full clubhouse facilities to realize the vision of modern living. Located in Bayan Lepas ‘Slow City’, Ideal Vision Park phase 2 and 3 are part of a 25-acre development created for an ideal futuristic living environment. The development offers residents country home living in a modern setting. With a green and low-carbon environment, residents will be able to enjoy a tranquil and relaxing life. It is less than one km away from the Penang International Airport, and located close to primary and secondary schools. Dinning, shopping, recreation and sport facilities are all available in this township, which also offers bicycle lanes and dedicated walkways throughout the development to reduce congestion, pollution and creating a sense of peace, while ensuring safety. The group is further expanding to Penang Northeast. The Tanjung Tokong development offers two leasehold-residential towers that sits on six acres of land. A montage of high style living with contemporary design, the towers are generously spaced and orientated to maximize panoramic sea views of the sea waterfront while the sky terraces allowed owners to get closer to their natural surroundings. Each unit’s built-up area is approximately 1,200 sq ft with three bedrooms and two bathrooms. The facilities will include swimming, kids and baby pool with a salt water system, as well as a fully equipped gym, sunken lounge, cafe, tropical gardens, terrace, security with CCTV, changing room, green lawn, cascading waterfall and jogging track.